In high school I was on the The Talon yearbook staff, first as a writer, then, in my senior year, as a photographer. It was a different era in most ways. I talked about the photography aspect of it on the teaching blog (link), but in this instance, I refer to the social aspect. I also wrote a decent account of getting sick and blarfing on the trip to Taylor Publishing here (link). 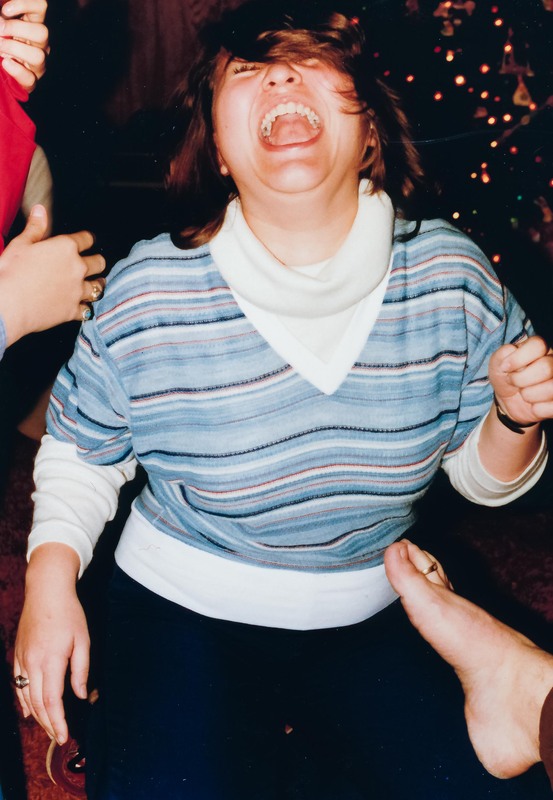 In December of 1979, our yearbook advisor hosted a Christmas party at his home. There were several party games that involved isolating the “marks” in the bedroom, then bringing them into living room. 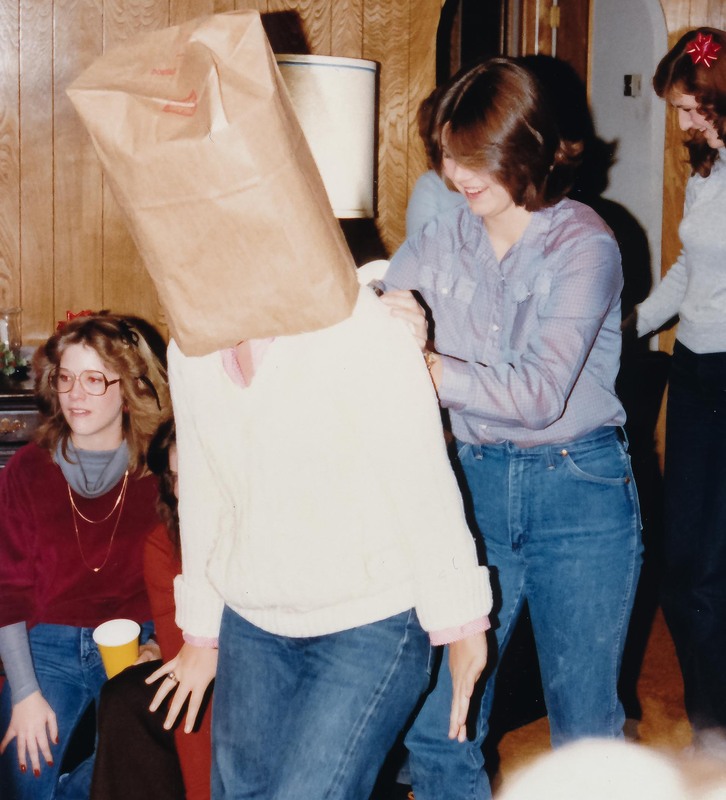 One game that comes to mind involved putting a brown paper bag on the mark’s head, then leading him/her into the living room. He/she was then told, “Remove something you didn’t wear to bed last night.” Subjects would then remove shoes, socks, jewelry, belts, etc., before being told that they didn’t wear the brown paper bag to bed. It’s an interesting instance of cognitive dissonance; why didn’t everyone immediately remove the paper bag? But no one did. Another game that night was “Kiss the Magic Ring.” A form of soft hazing, the marks were blindfolded and brought in one by one. They knelt and kissed a ring on the advisor’s hand. Then, before they were unblindfolded, he switched the ring to his foot. When the blindfold was removed, it looked to them like they had just kissed his foot. When I told this story to someone recently, she was aghast. You could never, she assured, get away with this kind of thing today. With this experience contrasted with today’s modality, I wonder what things will be like in another 40 years. “You have kissed the magic ring!” This is my first girlfriend, Tina, who was on the 1979-1980 Talon staff with me. Is that Rick Hill’s foot? I think about this all the time. I would love to see it. But not immediately. It will be less startling if I ease myself into it via 1:1 forward time travel. Also, in 1979, I thought the neighbor boy was saying “bull shift”; I wondered if perhaps he was mentally handicapped. I had never heard profanity before. Which is a weird thing to say. Coworkers with teenage kids tell me this sort of thing goes on all the time.